Conan the Barbarian Comics Reading Order! You are here: Home / Featured / Conan the Barbarian Comics Reading Order! For the longest time, my understanding of Conan the Barbarian was the 1982 feature film starring Arnold Schwarzenegger as the hunka hunka manly barbarian. It’s only as I’ve gotten deeper and deeper into comics that I even realized Conan was a consistent part of Marvel Comics from 1970 through 1990, with creative talent like Roy Thomas, Barry Windsor-Smith, and John Buscema (among many others) crafting an in-depth comic book universe for the character. 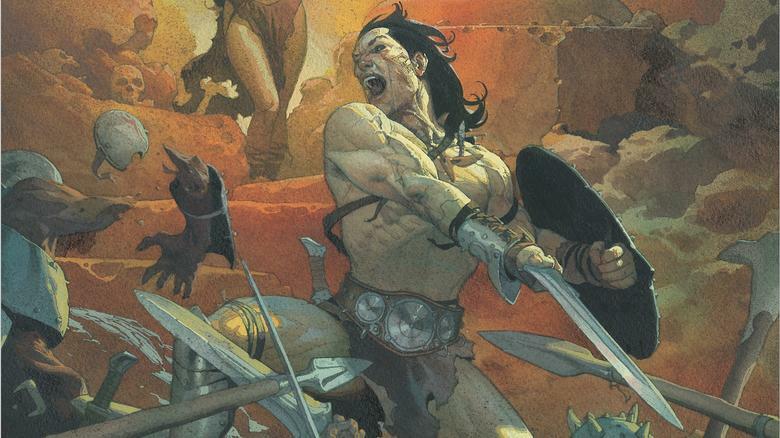 In the 2000’s, the license for Conan comics came to Dark Horse, where creators like Kurt Busiek reshaped the classic Conan stories of creator Robert E. Howard for a modern audience. In 2019, the savage sword of Conan came back to Marvel for the legacy to begin anew. 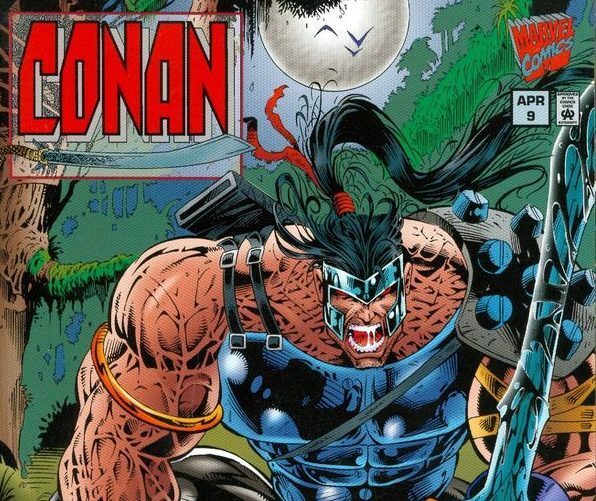 Below you’ll find a complete guide to Conan the Barbarian comics throughout history. I’ve highlighted the standouts or most notable starting places with the Comic Book Herald logo. Enjoy the comics! Conan the Barbarian – The 70’s Comic Book Debut! 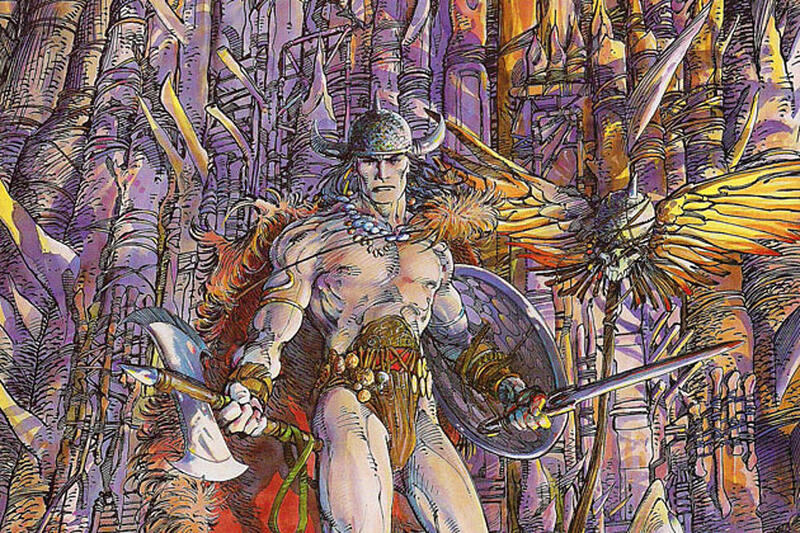 I’d point out here that Savage Sword of Conan and Conan the Barbarian do not *need* to be read together, aligned to the general publication order of each series. I’ve laid out the collections more or less that way to mimic the experience of reading these comics as they were coming out, but truth be told you could read through Roy Thomas’ first 115 issues of Conan the Barbarian without touching Savage Sword, and then jump back to that series whenever you wanted. Collects: Conan The Barbarian (1970-1993 Marvel) #91 And 93-100. Worth noting that the “King Conan” series release date (launching in 1980) fits around this time period in the order. Personally, I recommend reading King Conan separately from the Barbarian and Savage Sword ongoings, in one full piece below. Collects: Conan The Barbarian (1970-1993 Marvel) #122-126 And Conan The Barbarian Annual (1970-1980) #4-5. Written by Roy Thomas with art by Mike Docherty. Enter King Conan – 1980s! Written by all-time Conan scribe with art by John Buscema and Ernie Chan. Long live the king! 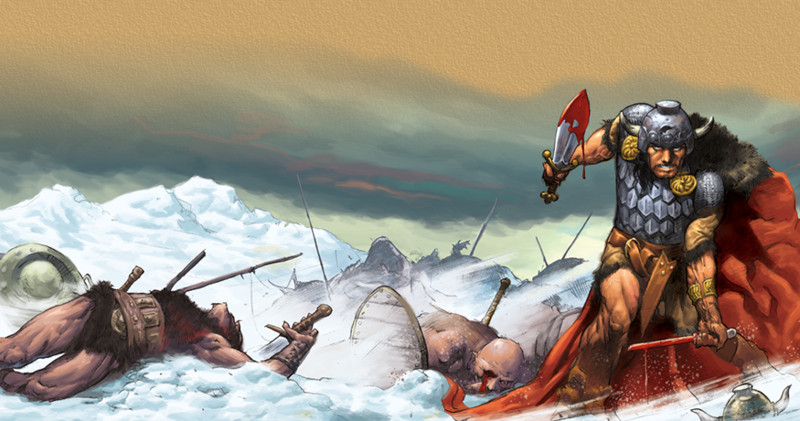 Writer Kurt Busiek and artist Cary Nord take on the relaunch of Conan the Barbarian for Dark Horse comics, beginning in 2004. This newer release overlaps with the issues in the “Omnibus Volume 1” immediately prior. You do not need both. It’s just another collecting option. Similar selections of minis and one-shots, re-released by Marvel Comics now that they have the Conan license back. Note that this collection duplicates (and streamlines) the 26 issue Conan the Cimmerian run written by Timothy Truman. For a bonus look at Conan’s sporadic history in Marvel’s superhero comics, I recommend checking out this crossover list on CBR! Marvel relaunch by Jason Aaron and Mahmud Asrar! Any idea if/when any of this will come to Marvel Unlimited? Specifically the older stuff? Marvel has stated that they have plans to release the Conan books to MU. I don’t think they announced timing, but my guess would be the first quarter of 2019.